Not actually called NEW YORK 57 when the three boats were first launched. 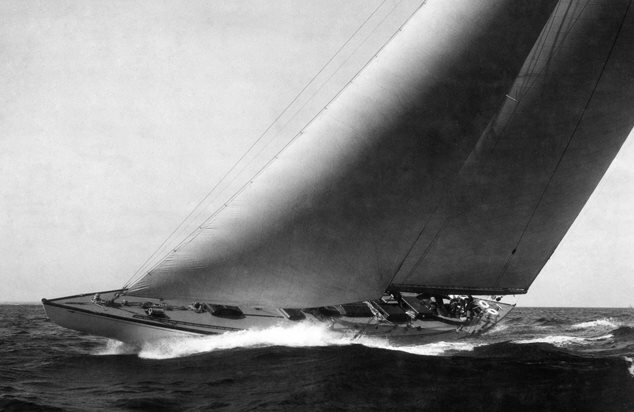 (Original owners were NYYC members and newspaper articles described them as such.) The '57' is her original rating under the Universal Rule. They raced against each other as a class for at least one season and were later altered for handicap racing. Original names: 'Istalena', 'Aurora', and 'Winsome'. It is thought that the last surviving boat, Istalena, (shown here) was lost in the 1960's.